We’re excited to announce our new monthly ‘Gin Night Thursday’ Piano Bar specials. 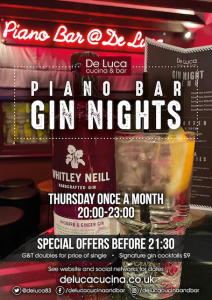 The nights will be held on the 1st Thursday of the month, between 8-11pm, with Piano Bar entertainment from one of our talented singer / pianists who will be taking requests. 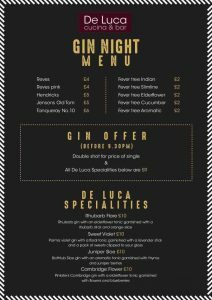 As well as a fantastic selection of gins (such as Reves, Jensons, and Tanqueray No. 10) and Fever Tree tonics to chose from, we have also created our own gin-based speciality cocktails. 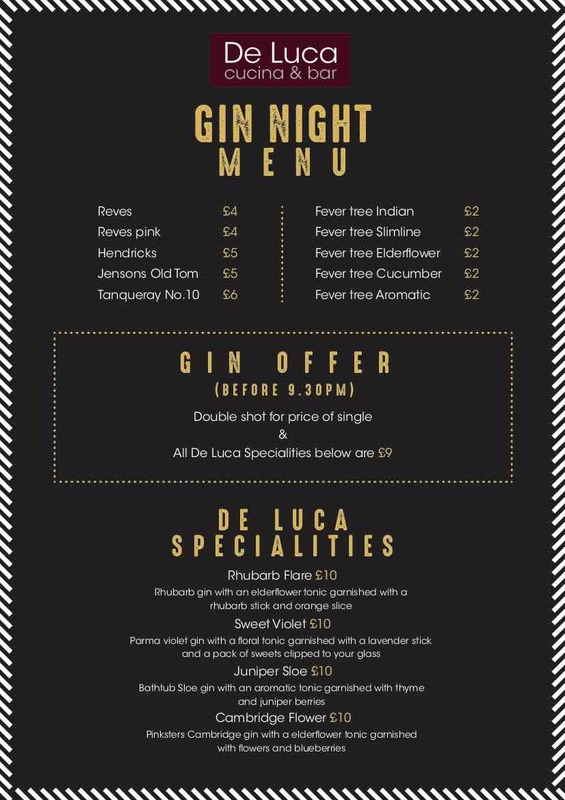 Next ‘Gin Night’: Thursday 4th April 2019!